Great food, fine adult beverages, good vibes from the friendly crowd and, yes, fantastic music; Friday night at Boston Calling’s May 2016 edition was spot on! I hadn’t had that much fun since Boston Calling last September, no kidding. So much fun. I aggravated my bad back and shoulder there on Friday, having a grand ol’ time, so I had to spend yesterday resting after a failed attempt to catch the 1pm train. You see, I went to the train station but the ticker said the train would be 20 minutes late. Then another 25. Then an hour and 25 minutes! And I was sitting outside in the sun, sweating terribly, as I am allergic to heat, and I was starting to get a bad itching attack. So, being in so much pain and now having the heat allergy bothering me and not knowing when the train would come I just went home. I had a ticket to Selena Gomez last night, which was purchased MONTHS before when I knew Boston Calling would be, so I was going to be leaving Boston Calling early anyway to go catch that show. So, I just went home and cooled off and iced my back and shoulder and just went to see Selena Gomez last night once I was feeling better. 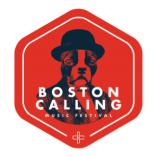 Today, however, I will be covering the whole day of Boston Calling. Taking the 11AM train in to be there when it starts and will be there for the whole shebang. (Well, I might have to leave before Disclosure is over so I don’t miss the last train back to Lowell at 11:30, but we’ll see.) I am super psyched about seeing HAIM, Janelle Monae and Elle King! I will have more extensive coverage of Friday night along with my coverage of today on Monday.